Whether you are looking for a conventional full depth replacement or to add a decorative flair to your existing space we have solutions for you. 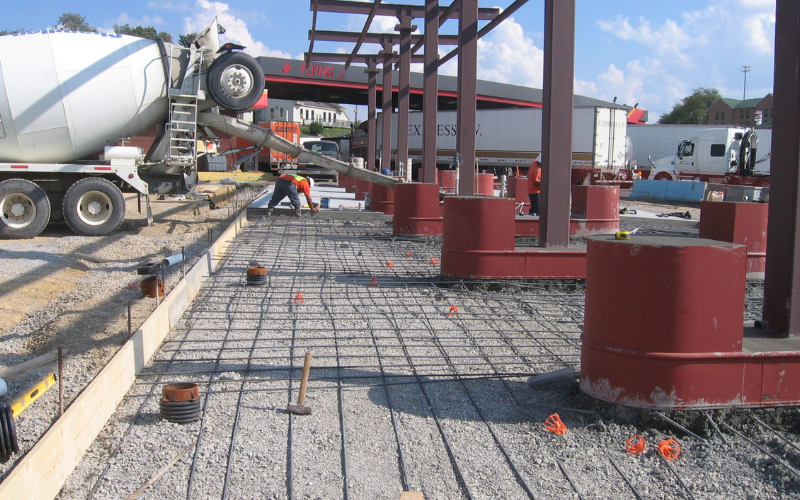 Kleenco has complete concrete crews to service the repair, maintenance, and installation needs of our clients. Our asphalt paving services are a huge part of the success to keeping your commercial property values up. 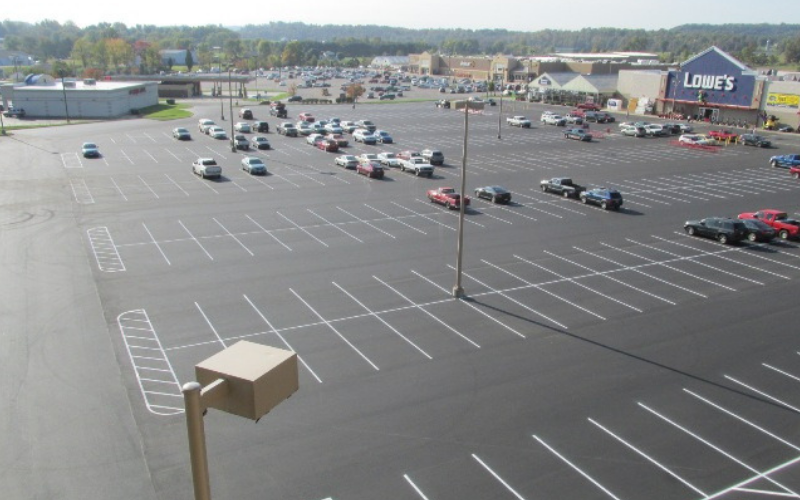 Whenever we do any asphalt project we always make sure to recommend the best solution for your property, making sure that the down time for any working space is limited to maximize your return on investment. Application of Sealcoat for Uniform Appearance. If you have a need for land to be cleared you can be sure that Kleenco has the knowledge to service your land clearing and excavation needs. 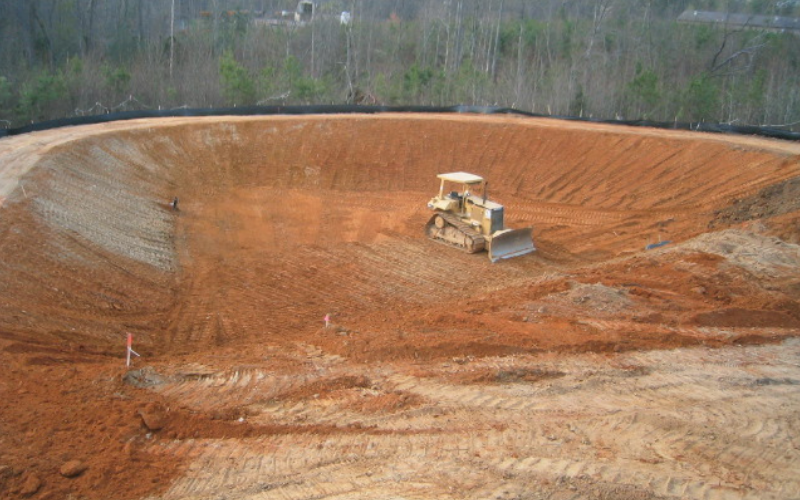 Excavation and land clearing are normally part of a larger job. In the world of construction, excavation is a lot more than just hauling dirt from place to place. In an excavation project the contractor removes the soil to the depth required for the new foundation and ensures that the soil is firm through compaction tests and compaction with equipment. The project requirements are very precise to guarantee the success of the project moving forward. Asphalt Milling is the controlled removal of at least part of the surface of a paved area such as a road, or parking lot. When milling there are several ways to approach the milling process. Milling can remove a thin layer of asphalt to simply remove the top layer or a full depth removal can occur. With every project we inspect the situation an review the best options for each and every project to guarantee not only customer satisfaction but the longevity of your property’s asphalt installation. Cost – Most of the time asphalt millings are considered recycled asphalt. They are asphalt from previous projects that have been crushed into gravel sized pieces. Because there are not new materials going into the creating of this gravel the cost is often much less than gravel coverage. LEED Certified – because this is a recycled material asphalt millings are a long lasting, Eco-friendly material that can help you with your project’s LEED certification. No Maintenance – Because the milled asphalt is crushed, like gravel surfaces it does not require maintenance such as resurfacing. Milled asphalt actually hardens over time becoming stronger than when it was first installed. Weather Friendly – Because the milled asphalt it crushed the dangers of freezing and thawing that winter brings normally damaging other options are no longer an issue for a property owner. 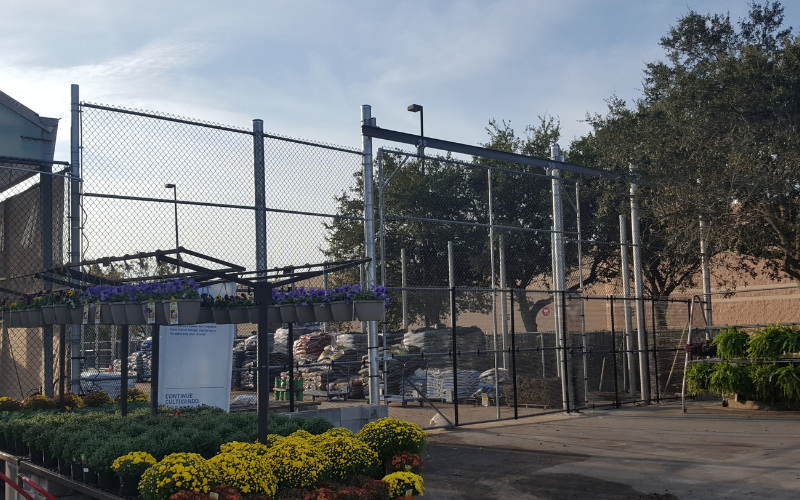 Our fencing division was created in response to our customer’s need for expedited repairs to fencing that secures valuable merchandise. 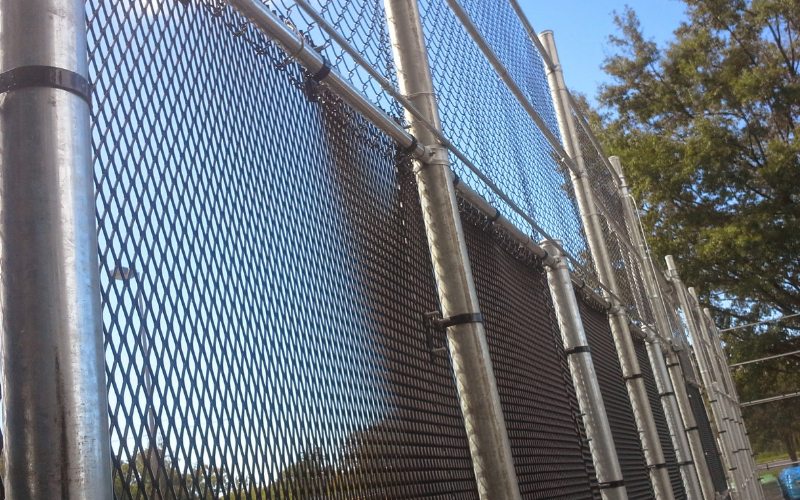 We understand that a breach in your fencing system is a breach in your security. We offer a variety of commercial and security fencing for your convince. We are always happy to help you decide what the best fencing solution for your property is. Protecting the environment and our natural resources is of the utmost importance to Kleenco Construction and our customers. Not only is it our civic duty, but it is also mandated by state and local governments. You can count on Kleenco to be fully aware of the storm water laws and regulations affecting your area. We create solutions for our customers that are not only cost effective but environmentally sound. We will work hand in hand with local and state official to achieve 100% compliance, achieving an amicable solution to current storm water issues. We’ve Been Paving the Way For More Than 18 Years. At Kleenco there are not “problems” but challenges and projects that give us the opportunity to create solutions for our customers. Here at Kleenco we will not call customers with problems, but instead we work hard to provide solutions to for both foreseen and unforeseen challenges giving you the choice on how to move forward with your project. We are a solution provider; problem solvers. We have an obligation and commitment to our customers and our company to effectively analyze conditions identifying the root cause then determining the long term solution. In turn saving you and your business money long term. Our clients range from FTSE companies, to small local businesses. Dedicated team committed to project delivery & success for your organization. True project partnership unified by a common goal and purpose.